TT junior cyclists Enrique De Comarmond, left, poses with Tarique Woods. 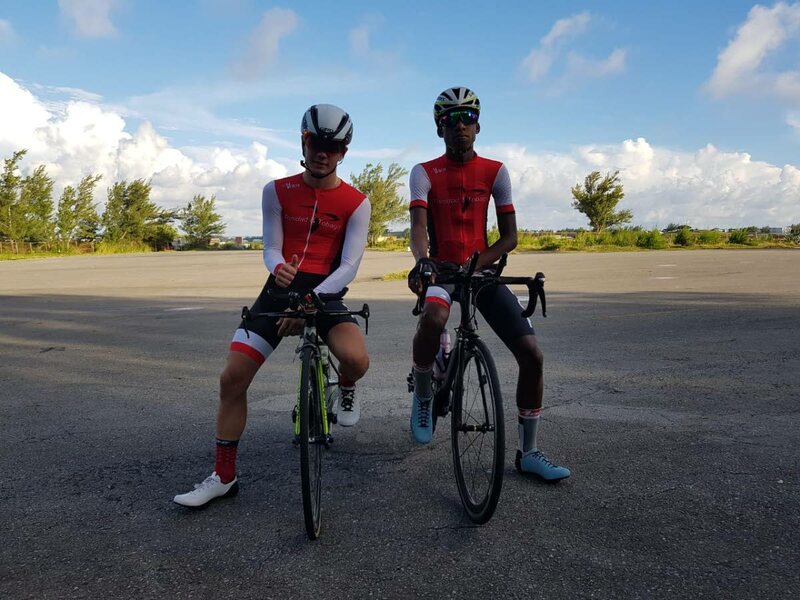 THE mother of a junior cyclist who qualified for the Junior Caribbean Cycling Championships, which took place last weekend in Bermuda, says the TT Cycling Federation (TTCF) failed him and five other cyclists who were unable to make the trip because of the TTCF’s lack of funding. Two cyclists made the journey for the two-day event, Tarique Woods and Enrique De Comarmond, the latter of whom secured a bronze medal in the junior male time trial. Both riders paid their own airfare to attend. Eastlyn Sankar, mother of Maurice Burnette, 18, who qualified for the event after placing second at the TTCF National Road Race Championship in June, said he and several other young cyclists were left distraught after learning last-minute they would not be able to attend the premier regional junior road cycling event. Sankar said the situation left Burnette and several other cyclists in tears. “You know how funding is going for all the federations right now; we hope that in the new fiscal year, things will change. It’s really sad. We really tried for the whole team to go. It’s just heartbreaking for everybody. It’s just difficult on all sides. It’s nobody’s fault. I know she (Sankar) was upset. We all had meetings. They are finding ways to vent and nothing is wrong with that,” Williams said. Reply to "Parent blames TTCF for Jr cyclists missing Caribbean meet"